Here you will find upcoming events scheduled at Dermatology Consultants such as seminars, expert lectures and more. To find out more about attending one of our events, or to RSVP click on the individual events below. Bring on Spring at Dermatology Consultants! Call in, or shop online for spring specials at our Covington location- one day only!! Follow us on Instagram & Facebook, @DermatologyConsultants to be entered into drawings, give-aways and special raffles only available on social media! 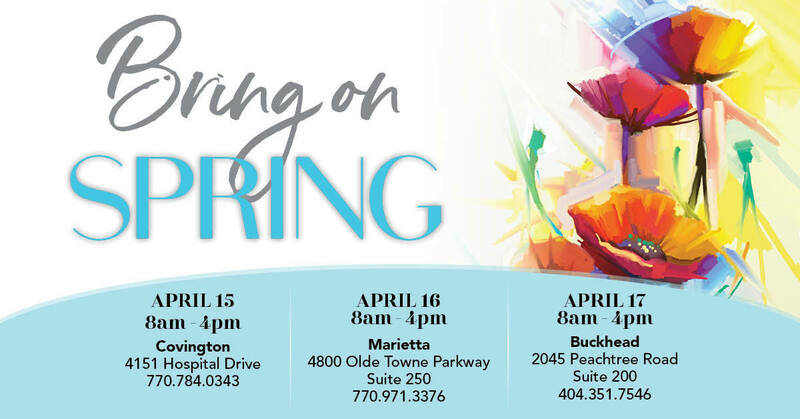 Call in, or shop online for spring specials at our Marietta location- one day only!! Call in, or shop online for spring specials at our Buckhead location- one day only! !